The skin of the ear is also very sensitive causing extreme pain because ear is innervated by a rich nerve supply. Ear ache may be because of many reasons, not necessarily indicating an ear problem alone. It is estimated that over one third of the people who approach an ENT doctor with complaints of ear pain have no identifiable ear disease. Many complaints of ear pain are actually due to pain from tooth decay (dental caries). A tooth cavity is the gradual breakdown of the tooth structure due to microbial growth. 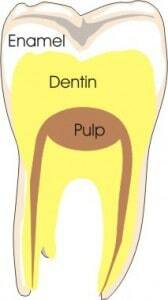 Erosion of the outer lining of the tooth (enamel) is followed by the destruction of the inner layer (dentin). 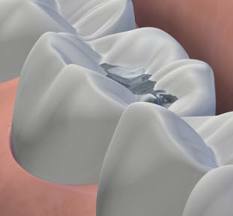 A tooth cavity occurs as a result of a combination of factors, food particles get trapped on and between the teeth after eating and along with mucus, dead epithelial cells (from the mouth lining) and bacteria, a thin soft film, known as plaque coats the teeth. This provides the ideal medium for oral bacteria to feed upon food debris. Bacteria like streptococci and related groups, break down food particles and produce lactic acid as a byproduct. It is this lactic acid that is responsible for eroding tooth enamel and causing tooth cavities. Left untreated, the lactic acid will continue to erode the enamel and dentin and cause irritation of the nerve which is experienced as a toothache. The risk factors below will often promote bacterial growth thereby causing a tooth cavity are ,poor dental hygiene, low fluoride exposure ,acidic foods and drinks, reduced saliva production and recession of the gums. 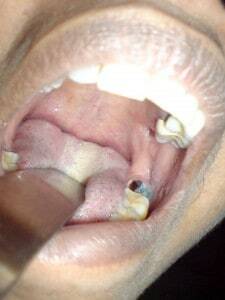 Diagnosis can be made simply by a using a dental probe to detect sensitivity at affected areas. A dental X-ray will provide further information on the severity of the cavity as well as any other considerations before commencing treatment. Treatment: The area is filled with a restorative composite material (filling) and in severe cases, removal of the affected tooth may be necessary (extraction). Daily use of fluoride in suitable toothpaste when brushing, preferably twice daily. And brushing with a suitable soft toothbrush to physically remove plaque build up. Once hard plaque forms, it is difficult to remove with a toothbrush and therefore daily brushing is essential. Also reduce intake of acidic foods and drinks and those high in refined carbohydrates. Erosion of both the enamel and dentin will finally affect the pulp of the tooth, the area containing the tooth\’s blood vessels and nerves. If the remaining tooth structure can be preserved, a â€˜root canalâ€˜ may be considered to stop the pain. Proper dental hygiene and regular visits to your dentist (at least twice a year) can save you lot of discomfort. Regular consultations with your dentist are essential to maintain good dental health.